If I were present during their protest, I would have to throw him with glass jar and expose his communist sympathies. 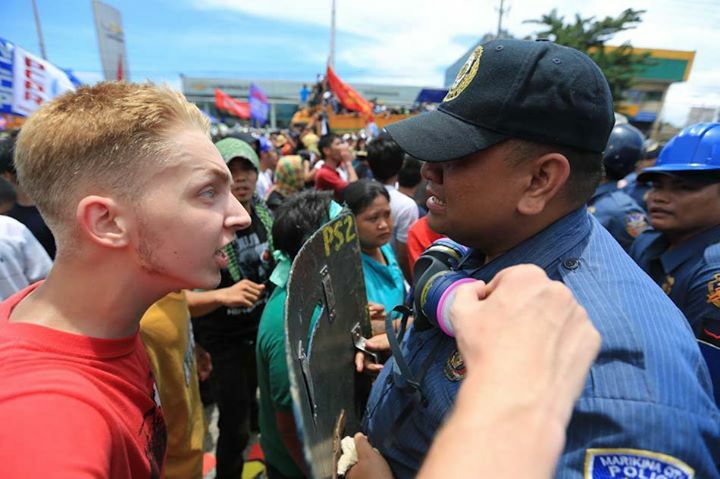 This morning when I opened my Facebook account after more than 24 hours of resting, I was bombarded with postings and comments from my friends about this viral photo of this Dutch communist hippie Thomas van Beersum berating an ordinary policeman named PO1 Joselito Sevilla. This man from Netherlands was undiplomatic enough by saying “You are the ones that are hurting us! You started this conflict! Why are you doing this?” to PO1 Sevilla. And yet this same person justified his actions through his Facebook account and encouraging the policeman to join their cause in next year’s State of the Nation Address or SONA. You are wrong, Mr. Thomas van Beersum. The ideology you are fighting for has been shunned by the rest of the world including China, who adopted capitalist free-market system. You are naive enough to say that coercive collectivism like communism is the answer of our economic, political, and social shortcomings. I think you need to open your eyes that the world you are living with is imperfect and total equality of outcome that your bankrupt cause has been fighting for many years. 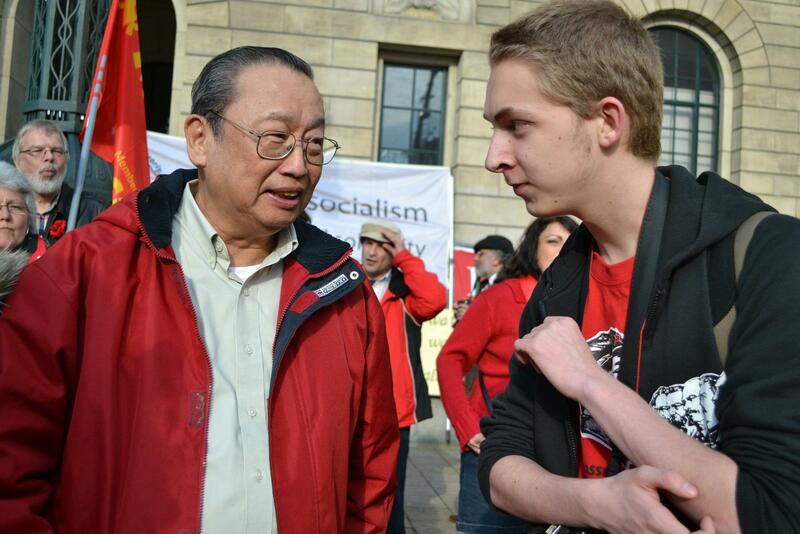 You didn’t even search when you were in Netherlands that your benefactor, Jose Maria Sison, fled to your country to escape criminal liabilities that he has been doing for many years like killing one of my distant relatives, former NPA commander Rolly Kintanar. Mr. Thomas van Beersum, you have to realize that Filipino people will not going to tolerate anyone who wants to overthrow a corrupt democratic government and replace it with more corrupt and genocidal communist government, no wonder Jose Maria Sison and his cohorts in the mountains and in the Congress, failed to convince the silent conservative majority Filipinos to support your bankrupt cause, let alone of taking over the government. The ideology that you are fighting for to be imposed in our country has claimed several lives not just in the Philippines, but also in Cambodia, China, Cuba, Eastern Europe, Laos, North Korea, Russia, and Vietnam, no wonder many of these countries already abhorred that ideology or if not, they had to change their economic strategies to the extent similar to free market capitalism than to central planning communism. Fighting for an utopian communism is like fighting for a dystopian Nazism. Our law way back the Commonwealth days states that like you who is not a Filipino citizen, cannot interfere in our internal political affairs like joining protest march with the end-goal of overthrowing our flawed democratic government and replacing it with more corrupt and repressive communist government run by few Politburos. Violating of that provision will result to your deportation. You should have well-versed enough not just to our laws, but also to our political, economic, and cultural attitudes of our compatriots who fortunately, never share your cause. If I were you, you have to leave the country to save your face or else, a proper authority like the Bureau of Immigration will deport you and never return to the Philippines.